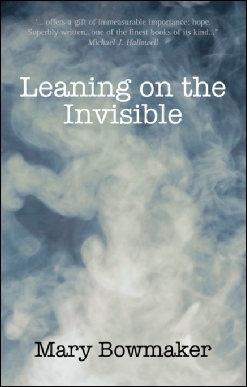 Leaning on the Invisible is a fascinating introduction to the unknown, a portal into another world which, if we fail to walk through it, leaves us immeasurably impoverished. The whole world has opened up suddenly to become aware of a form of ‘global citizenship’ as, through the medium of the internet and other forms of media, we at last understand, and try to realise the significance and truth of the words, the Brotherhood of Man. And just as there is a great need for harmony and peace, for a ‘healing’ in our troubled times, so too comes the desire to seek out ‘like minds’; others who share a belief in the power for ‘good’; in the comforting reassurance that we do not travel this earthly path alone. That there is a reason for everything and everything happens for a reason. So too, is the desire to share so called paranormal experiences, as through these experiences, we all gain a better understanding of the meaning of life, and of life itself.